Urbanana (don’t you just love the name?) is a concept for a vertical banana plantation that seeks to redefine the principles of urban agriculture in European cities like Paris. Designed by SOA Architects, the farm would be situated in a medium-sized Parisian building and offer a wide variety of bananas that are typically absent from the European market due to transport and ripening constraints. Aside from providing Parisians with one of their favorite fruits locally, the glass envelope would be nestled between residential buildings, revealing a striking interior dominated by fruit trees. Bananas have become, like some other exotic fruit species, an almost irreplaceable part of our diet. In addition to their usage in the food industry, they are also widely used in the development of cosmetic products. Unfortunately, transporting fruit that grows in the Caribbean to Europe is not only costly but also detrimental to the environment. Compared to the conventional distribution of fruit, Urbanana introduces a mechanism that can significantly reduce greenhouse emissions and make a real impact on national economies. 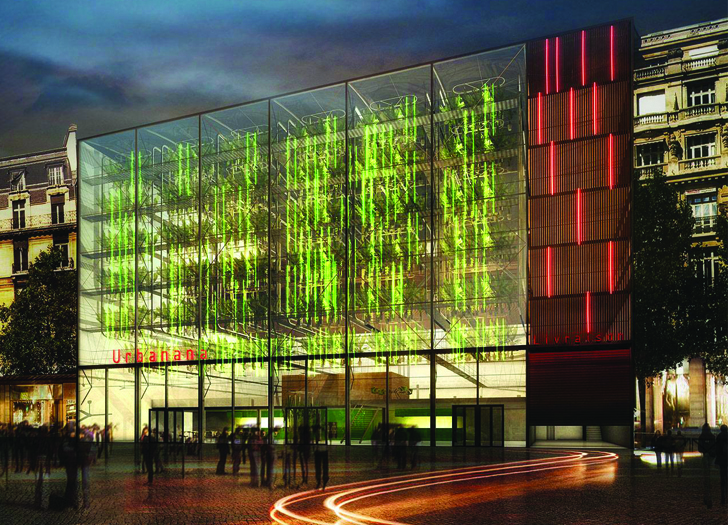 The façade of the building provides maximum transparency and, with additional artificial lighting, it creates optimal conditions for banana growth. It is supported by a three-dimensional metal structure, creating an appearance of a botanical garden. The planting space, occupying a height of six floors, is serviced by technical bridges. The ground floor houses public content, including a research laboratory and an exhibition area showcasing the banana sector. The entire building is a highly mechanized design that promotes and develops agricultural urbanism. Urbanana (don't you just love the name?) 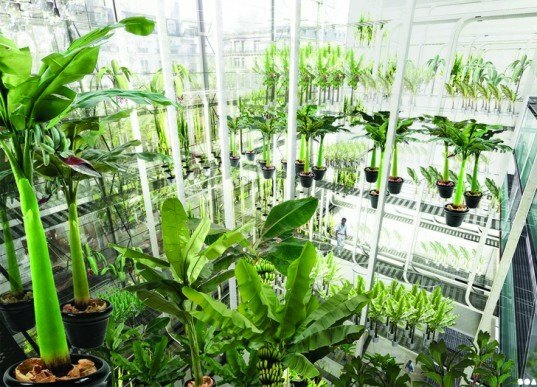 is a concept for a vertical banana plantation that seeks to redefine the principles of urban agriculture in European cities like Paris. Designed by SOA Architects, the farm would be situated in a medium-sized Parisian building and offer a wide variety of bananas that are typically absent from the European market due to transport and ripening constraints. Aside from providing Parisians with one of their favorite fruits locally, the glass envelope would be nestled between residential buildings, revealing a striking interior dominated by fruit trees.